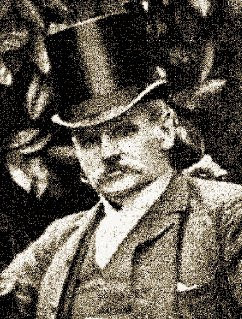 James Henderson began his career as a publisher in Manchester in 1861 with The Weekly Budget. He set up publishing offices in London at Red Lion House, Red Lion Court and began a penny children’s story paper called Our Young Folks’ Weekly Budget which ran under various titles from 2 January 1871 to 31 October 1896. 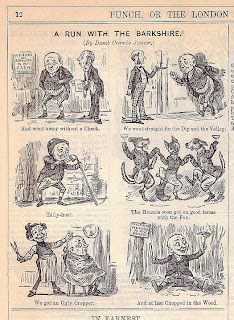 On 12 December 1874 he published a penny tabloid comic called Funny Folks with a cover by John Proctor, who signed his work “Puck.” Proctor worked regularly on Young Folks and Funny Folks from their beginnings. 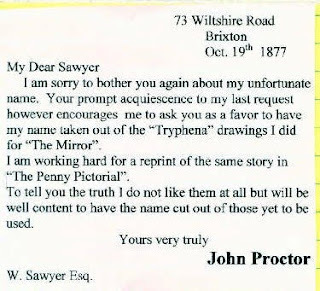 The letters following, courtesy of Don Kurtz, are from John Proctor to William Sawyer, the editor of Funny Folks. A Chat with John Proctor HERE. Here’s a curiosity from the Newsagents Publishing Co.’s penny dreadful catalog, Jolly Dogs of London; or, the Two Roads of Life, first published in 1864. The usual fare of the NPC was tales of wild sewer boys, boy detectives and boy highwaymen. Jolly Dogs was actually based on a popular music hall song called Jolly Dogs, also known as Slap-Bang, written by a man named Harry Copeland and attaining great popularity through the performances of the comic singer The Great Vance. 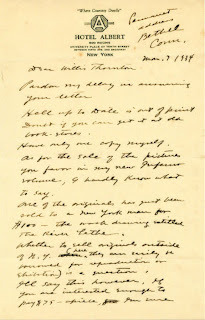 In 1865 Copeland testified in a copyright case that the song had attained great popularity, “a fact that did not say much for the taste of the British public, for though he had written 100 songs this was the worst of them.” Copeland frequently heard the air played in the streets much to his annoyance. 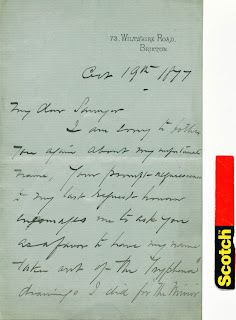 Alfred Peck Stevens, professionally known as Alfred Glanville Vance, was born in London in 1840, and originally destined for the law, for which purpose he was placed in a solicitor's office in Lincoln's Inn Fields. He cherished a secret delight, however, in theatrical affairs, and after three years' experience of pounce and parchment, quitted the office stool, and donned the sock and buskin. His first professional engagement was with Mr. Edmund Falconer at the Preston Theatre, where he received a salary of fifty shillings a week, and had to play all sorts of parts, including that of spangled harlequin. He then went on the North­ampton circuit, and after wandering about in this manner for some time, accepted an engagement at Liverpool with Mr. Copeland. Later on, he opened a dancing academy in that town, which not proving particularly lucrative, he took an entertainment of his own round the provinces, after the manner of Cowell and other artistes. In this entertainment he impersonated no less than twenty different characters, visiting with his show nearly every town in the United Kingdom. He next came to London, where he was induced by Mr. J. J. Poole to adopt the variety stage. Following Mr Poole's advice, he made his appearance at the Metropolitan and Philharmonic, scoring an in­stantaneous and lasting success. Vance died in active pursuit of his calling so recently as December 26th, 1889, on the stage of the Sun Music Hall at Knightsbridge. 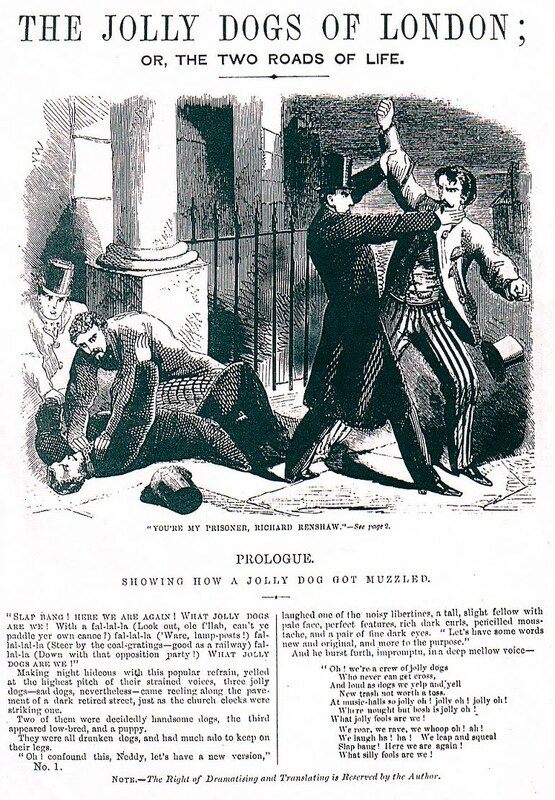 On 5 Aug 1866 a melodrama of The Jolly Dogs was performed at the Britannia theatre, “founded on a work by Mr. C. H. Hazlewood.” The principal character of the drama was Edgar Wenlock, who “keeps a book, sees life, and is going full tilt to ruin.” Other “jolly dogs” were his companions Richard Renshaw, Humphrey Puffy, George Grant and a burglar named Grip. 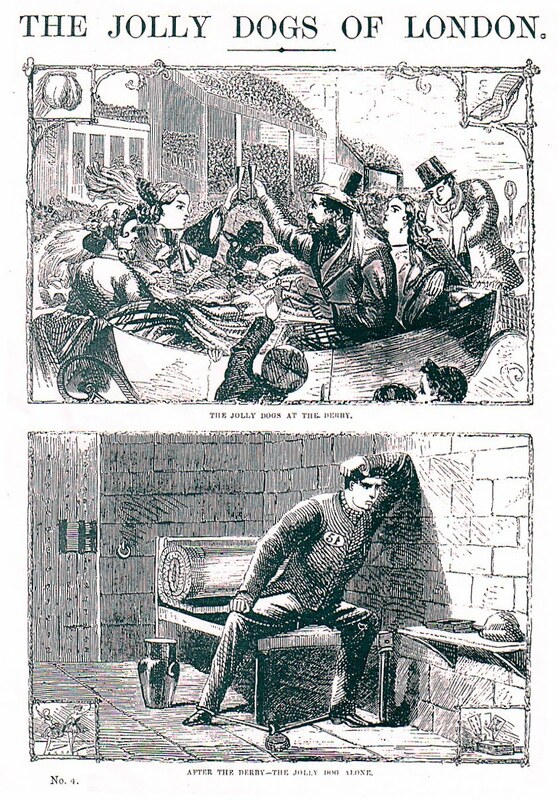 Wenlock employs the burglar to open his master’s safe (a burglary based on the real-life Cornhill robbery) which they accomplish and make a clean getaway, although the look-out George Grant is caught by the police and dies in gaol. The jolly dogs have many more scuffles with the police and Renshaw connives in the murder of his twin brother. When Grip fires at a copper he accidentally hits Renshaw. “Shot at the pigeon and killed the crow,” Grip mutters to himself. "HAZLEWOOD, Colin Henry, first turned his attention to authorship, in 1850, pro­ducing a farce at the City of London Theatre, entitled Who's the Victim, which, received with favour, prompted him to further efforts. He had been for some time previously the low comedian in the Lincoln, York, and Western Circuits. In 1851 he was engaged at the Surrey Theatre, appearing as Bobby Blackberry, in The Rover's Bride, and was next engaged by Messrs. Nelson Lee and Johnson for the City of London Theatre as low comedian. Here he remained ten years, producing dramas, farces, burlesques, &c., in rapid succession. A farce, called The Bonnet Builders' Tea Party, was brought out at the Strand Theatre, then under the management of the late J. H. Tully, and its success stimulated him to continue writing. Jenny Foster and The Return of the Wanderer were then written for the Britannia Theatre, and had a long run. These were followed by Waiting for the Verdict, produced at the City of London Theatre, and which drew crowded houses for many weeks. The New Britannia Theatre has brought out the greatest number of Mr. Hazlewood's dramas: the most noticeable are Our Lot in Life, Cast on the Mercy of the World, The Downfall of Pride, Rescue of the Orphans, The Castaway, The Life of a Weaver, &c., &c. His son, Mr. Hazlewood, junior, is also known as the author of various burlesques, chiefly produced at the Alexandra Theatre." In Crime and the Drama (1927) H. Chance Newton described the working methods of Colin Henry Hazelwood. One thing the book does make clear is how the authors of melodrama were all well read in the penny dreadfuls and Newgate Calendar. Newton worked closely with Colin Hazlewood in “nailing up” melodramas from clippings taken from Reynolds’s Miscellany, The London Journal, The London Reader, The Welcome Guest and the current penny dreadfuls. These clippings were kept in filing cabinets so choice bits of dialogue could be easily found to fit any situation. Kind of like the “swipe” files used by modern American comic artists and illustrators. 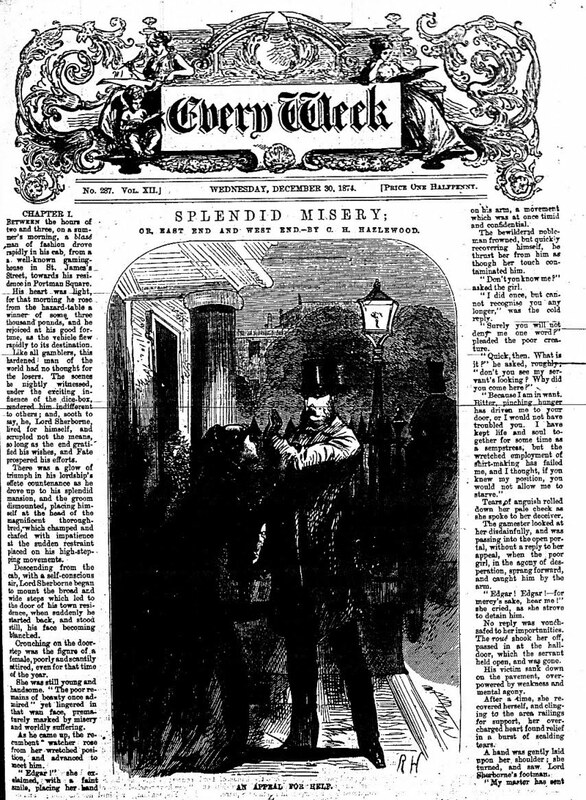 The Examiner, 9 Sept 1865. Worship-street:- Henry Fleetwood, 44, of 216, City-road, describing himself as a writer, was charged before Mr. Cooke with violently assaulting his wife, Ellen Fleetwood, who was so injured as to be unable to attend. 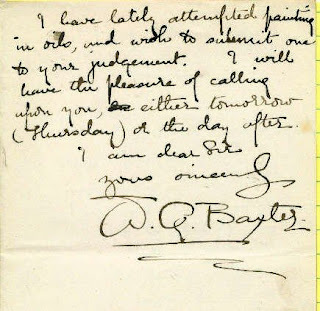 Mr. Edward Hymans, a skin merchant of 217 City-road, stated:- Last night, about 7 o’clock, while standing in front of prisoner’s house, where a crowd had collected, I saw a woman attempt to get over the railing dividing the garden of the next house from his into his garden. She had got her right leg over the railing when the prisoner came out of his house, seized hold of her leg with both hands, and flung her back, face foremost, into the garden she wished to come from. She gave no signs of life after she fell but a groan now and then, and the prisoner went back into his house. There was a great deal of blood where she fell, and he did not attempt to assist her, but left her where she was. She was left there for about twenty minutes, but he did not come out o her. Some of the people in front got over the railings, and he came out several times to them, but not to her, though she lay but a little distance from him. By Mr. Safford, the clerk:- When he took hold of her foot it was quite plain that it was for the purpose of throwing her over. I did not see any signs of drunkenness about her. She appeared to me to be perfectly sober. 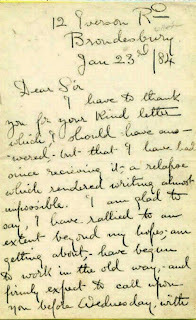 Mr. Hyman’s evidence was corroborated by Mr. Alfred Blake, and by Ada Mills, milliner, who said that when the prisoner flung his wife over the railings he had a table knife in his hand with which he made a side motion as he did so, although she could not say whether he touched her with it. Her crinoline caught in the palings, but was released by a young man who got over, and it was then filled with blood. Saker, 258 G, said: - The height of the rail is about three feet from the ground, and the spikes on them, which are thin and sharp, project about two inches from the cross-piece. She was very weak from loss of blood when I got her to the station. 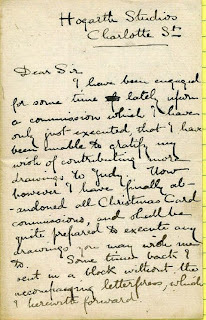 Mr. Eugene Yarrow, surgeon, of central-street, said Mrs. Fleetwood had a lacerated wound in the thigh seven inches in length, an inch deep, and exposing the muscles for about four inches; also a contusion over the left eye, and, as she said she had no home, he sent her at once to the hospital. By the prisoner: - She was certainly not drunk -- decidedly sober. The prisoner cross-examined the witnesses with great ability, to elicit that his wife was intoxicated, and that it was he woo released her clothes from the railings; but he was positively corrected by each of them. He then asked that bail might be accepted for his next appearance; but Mr. Cooke told him that, until he had a certificate from the surgeon specifying that the woman was entirely out of danger, he should not take bail; as should erysipelas set in, as the surgeon thought probable, and death occur, he might be charged with a more serious offense. “FLASH” SONGS ON THE STAGE. Mr George Alexander, in the first act of If I Were King at the St. James's Theatre, recites, or half chants, an English version of one of the first “flash” ballades ever written as Villon, and Villon was the original author and inspires of the words. 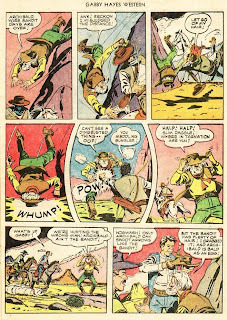 “Flash” is, of course, the slang language of thieves, rogues, brawlers, and the like, and is common to all countries. The chanson d’argot of France and the romance di Germania of Spain have long held sway, but the slang or cant song of England only dates from about the middle half of the sixteenth century. Prior to this period, says John Farmer in “Musa Pedestris,” there was little trace of that flood of unorthodox speech which in this year of grace, nineteen hundred and two, requires six quarto volumes duly to chronicle --verily a vast and motley crowd. 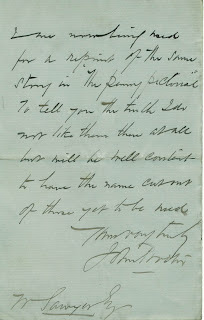 “When Harrison Ainsworth,” bays the compiler of “Old English Songs and Ballads,” "”in his preface to ‘Rookwood’ claimed to be the first to write a purely flash song he was very wide of the mark. Or pitch a snide, or smash a rag ? Booze and the blowens cop the lot! The title is Englished into “Villon's straight tip to all cross coves.” Of course Mr. M'Carthy has not made his version so obscure to the play-going public as the above seems. And, in truth, to understand the “flash” language or dialect a Slang Dictionary is necessary. From the days of Charles Bourdignė and Francois Villon to those of Vidocq and Victor Hugo, the last of whom enlivened the horrors of his “Dernier jour d'un Condamne” by a festive gong of this class, the French have numerous ditties written in the argot of Paris and the provinces. Our own novelists have cultivated the art, but not with such vigour as one might have expected; but we get good examples from the dramatists, Dekker, Beaumont and Fletcher, Ben Jonson, and others. One of the best specimens appears in Brome's “Jovial Crew,” while in “The Adven­tures of Bampfylde Moore Carew” there is one ode of no particular merit. Some of the pieces of the seventeenth century are so difficult to follow that it would be absurd to quote them. The Harman he came in. He'd still be in Drury-lane. I'm jigger dubber here, and you are welcome to mill doll. “Mill doll” means to pick oakum. There is not much apparent humour in these songs, but, of course, that may only depend upon the point of view and our own inability to “grasp -the-intention.” If we were not confining this paper to songs chiefly sung in plays we could give ft very extended list of flash ditties written by many of oar best poets -- Tom Moore penned several -- and many by the minor bind. In “The Universal Songster” of 1825 there are a large quantity, most of which were sung at Ranelagh and Vauxhall and Marleybone Gardens, to say nothing of Bagnigge Wells and Sadler's Wells and the old Grecian saloon. 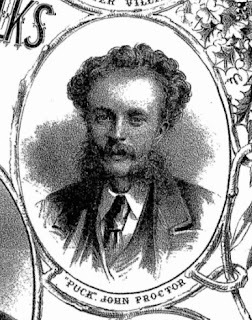 Thomas John Dibdin, an accidental son of Charles Dibdin who was also a singer, dancer, and actor, claimed to have written a tremendous number of pieces. He is well represented in the volumes referred to in the slang line. And so on. It was song in a stage version of “Rookwood” at the Coburg Theatre and the Surrey, and it was bodily lifted and put into John Baldwin Buckstone's dramatization of Jack Sheppard, done at the Adelphi Theatre, Oct. 28th, 1839, when Mrs Keeley was the Jack, Lyon, Jonathan Wild; Paul Bedford, Blueskin; J. F. Saville, Darrell; Edward Wright, Shotbolt,; and so on. There are in the printed play no less than twenty-six speaking parts. It was produced at the Bowery Theatre, New York, 1853. In England it rained Jack Sheppard, and the Lord Chamberlain, when revivals were talked of later, stepped in and for a time vetoed these performances. In Rookwood there are many flash songs, and Harrison Ainsworth prided himself upon his skill in writing them. And over the water we'll flare. And fiddlers will be there. In the same piece we come upon “The Dashy, Splashy Little Stringer.” Pierce Egan introduces “The Bould Yeoman” into Captain Macheath (1842). “The Bridle Cull,” “Jack Flashmire,” “Miss Dolly Trail,” and “The Big Blow of the Jug” -- all quite classical in the way of perverted language. 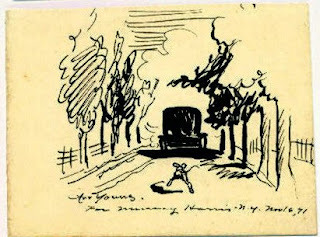 In this connection, too, it should be borne in mind that the author of Tom and Jerry wrote a series of “Sonnets for the Fancy,” when pugilism was one of the national sports. 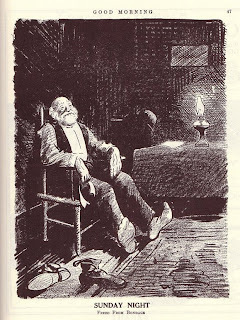 En passant we may note “The Leary Man,” sung about everywhere in 1857, “A Hundred Stretches Hence” from “The Rogue's Lexicon,” several tongs by T. Milliken in Punch, Albert Chevalier's quite celebrated ditties, and a number of pieces and parodies in thieves' dialect by G. R. Sims. You must wake up very early in the mornin'. Some pannum for my chest, and a tog on. With a roaring repeat of the first four lines as chorus. 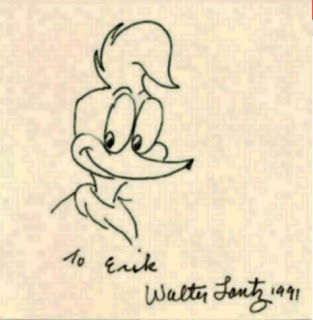 After “Slap Bang—here we are again!” this charming effusion made Vance's, reputation, and there is no questioning the fact that in his par­ticular line he was a true artist. We have not even half touched upon this interesting subject, which simply teems with slang chants, thieves' poetry palaver, and flash songs generally, for it is inexhaustible, and Frangois Villon was the father and master of all chansons d'argot. 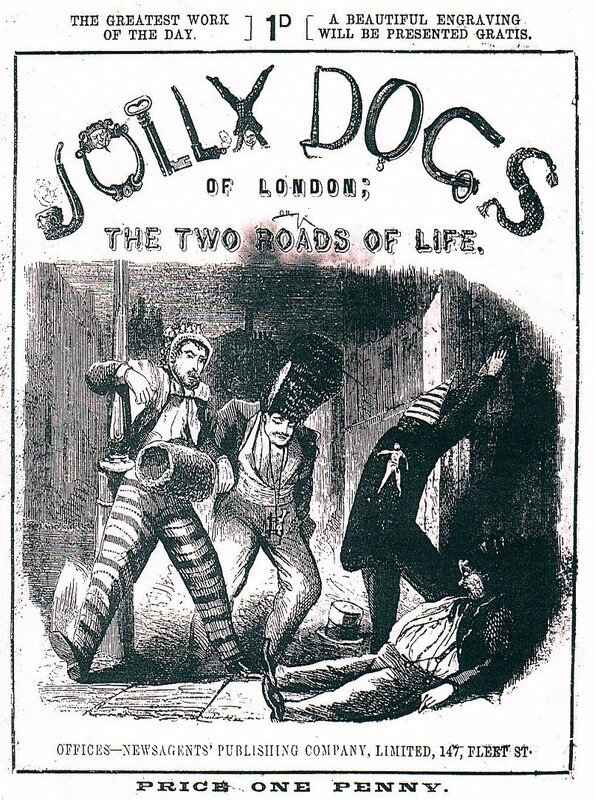 Jolly Dogs of London; or, the Two Roads of Life, 1864, Newsagents Publishing Co., 147, Fleet-street. 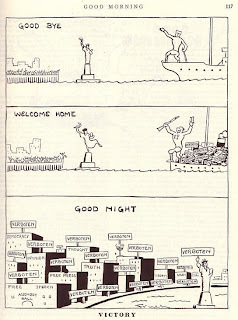 Splendid Misery; or, East End and West End, By C. H. Hazlewood from Every Week, No. 287, Vol.12, Wed. Dec. 30, 1874. 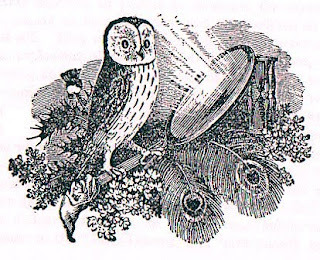 The history of wood-engraving for reproduction in England properly begins with Thomas Bewick, whose bucolic wood engravings of birds, animals, cries of London, and illustrations to Aesop caught the fancy of the British public. 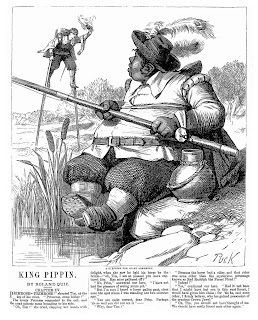 Bewick’s influence on illustrated commercial art was to enormous. When Bewick died in 1828 many of his wood-blocks came into the possession of Jemmy Catnatch of Alnwick, in Northumberland. When Catnatch moved to London he began using the Bewick “cuts” over and over to illustrate his catchpenny broadsheets and children’s books. The wood-engraving process begun by the “father” of the wood-cut would last until mass reproduction of pen and ink drawings in newspapers and magazines first became possible in the 1880’s with the invention of the line process block, which used photography to transfer the artists’ pen drawing to a metal plate and on to the printing press. Below is an explanation of the wood-block printing process from “The Pictorial Press its Origin and Progress” by Mason Jackson, London: Hurst and Blackett, 1885. This is not the entire chapter only the section dealing with the actual process. 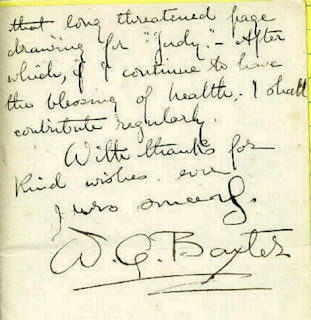 Some artists like Sir John Gilbert, R. A., drew directly on the block with no preliminaries. 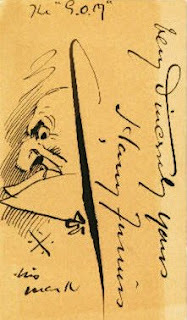 Harry Furniss, author, journalist and caricaturist, joined the staff of Punch in 1880. 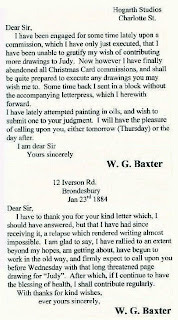 On August 26 1893 he had a ruckus with J. G. Swift McNeill, an M.P. who was enraged at the caricaturist’s representation of his protruding front teeth as “startling deformities.” McNeill spent the day threatening to punch Furniss the moment they met. 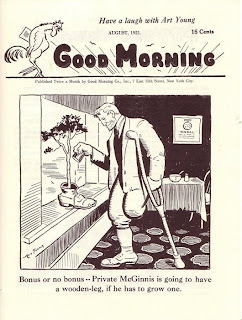 That evening the two did meet in a lobby at their mutual club and McNeil shoved his fist under the cartoonist’s nose. “Your conduct has been blackguardly,” he shouted, “if you were not such a little man I would kick you. As it is I will merely pull your ear.” McNeil did grab his ear and twist it and shake it. Furniss managed to wrestle free as a crowd gathered and went off immediately to complain to the sergeant-at-arms. He was born at Wexford, Ireland, on March 26, 1854, settled in London and contributed to Punch, The Illustrated London News, The Graphic, Black and White, The Magazine of Art, and The Strand. 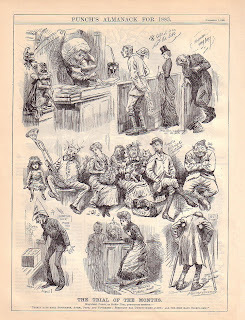 Furniss illustrated books as well including the works of Dickens and Thackeray. 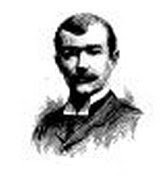 Harry Furniss, well-known black and white artist of Punch, died at his Hastings residence at mid-day January 14, 1925, leaving three sons, a daughter and a widow. *Two original Harry Furniss art cards courtesy Don Kurtz. 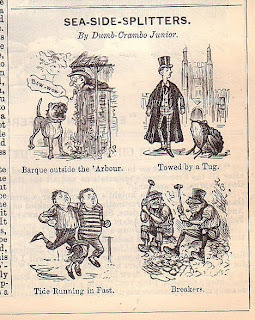 Punch cartoonist Dumb Crambo Jr. was J. Priestman Atkinson. 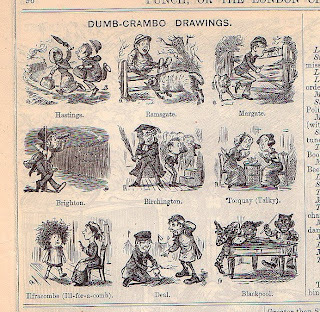 “Dumb Crambo” was a Victorian rhyming game. Dumb Crambo Jr. is one of the more obscure Punch cartoonists these days but was widely admired in the seventies and eighties for his modest cartoons. Quote from The History of Punch, by M. H. (Marion Harry) Spielman, London: Cassell, 1895. 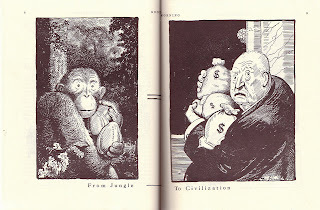 Spielman (1858-1948) was the editor of The Magazine of Art (1878-1904) where he published numerous articles on caricature by himself and others. 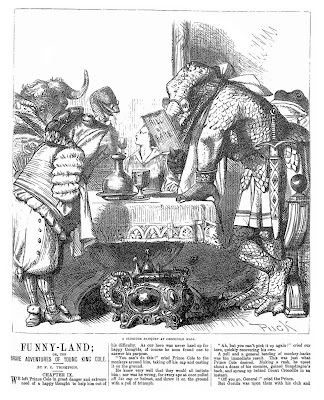 Baxter first attracted notice in 1879 when he established the weekly comic periodical Comus (afterwards altered to Momus,) published in Manchester. 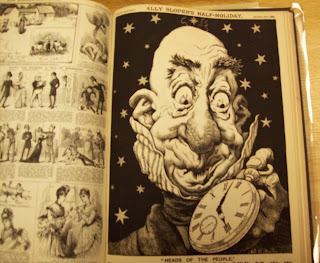 He specialized in comic portraits and drew a series of nearly life-sized heads called “Studies from Dickens” for that paper. When Momus failed in 1883 he moved to London where with a friend and brother artist he designed political and humorous Christmas cards. 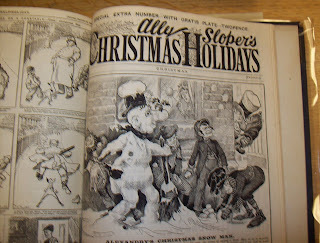 Baxter began contributing to Judy; or, the London Serio-Comic Journal, under Charles Henry Ross, but really came to prominence on Ally Sloper’s Half-Holiday published by Gilbert Dalziel. Baxter breathed new life into CHR’s creation Ally Sloper with his large, masterly full-page cover illustrations and double-page interior spreads. 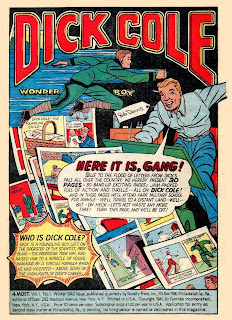 Later he seceded from that journal and in conjunction with C. H. Ross, creator of Sloper, he started Choodle, which had a short life due to a breakdown in the artist’s health. Like Ross he was an amateur actor. 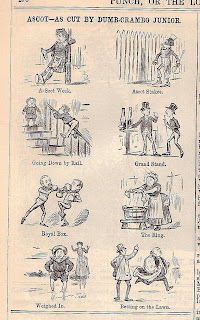 He died at age 32 on 2 June 1888 of ‘rapid consumption.’ In August 1888 Gilbert Dalziel issued from 99 Shoe-lane “Fifty Sloper Cartoons,” for a shilling, as a souvenir of the late artist. 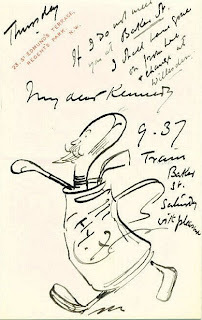 In June 1889 Baxter’s work was exhibited at the Royal Institute, Picadilly “Works of English Humourists.” The show had only a few works by Hogarth but devoted an entire gallery to the work of Thomas Rowlandson. Also featured were works by Cruikshank, Leech, Phiz, Seymour, Furniss, Tenniel, Sambourne, Keane, Fred Barnard, Charles Green, and Du Maurier. At the same time Cassell’s put on a black and white exhibition of magazine illustrators at the Memorial Hall on Farrington-street. 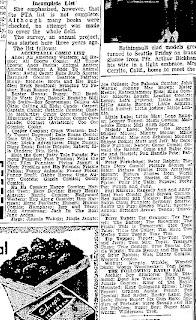 On 11 April 1949 the Madison City Wisconsin PTA and the American Association of University Women (AAUW) joined arms to eliminate objectionable comic books from the newsstands. 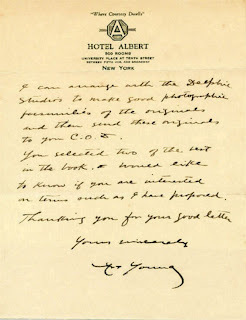 A letter was sent to 400 city officials, school principals, presidents of men and women’s youth organizations, social agencies, PTA presidents and operators of newsstands in drug stores, bus stations, grocery stores and railroad terminals with an approved list of comics considered acceptable to young minds. Below are two approved reading lists. The first was from 1949 and the second, much longer list was from 1951. 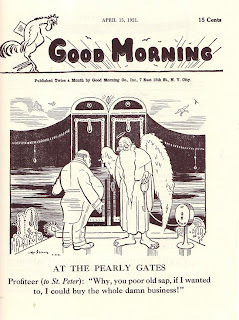 Good Morning, continued under the title Art Young Quarterly, was edited by cartoonist Art Young and was published irregularly between 1919 and 1921 by The Good Morning Company.